So it is now officially fall. I am half happy about that and half not. I love the fall weather but it just means winter is right around the corner and winter and I are not friends! I hate the cold, and don’t even get me started on the snow and ice. The fall weather induced me to stop my housecleaning yesterday and snuggle on the couch to finish The Poison Tree, by Erin Kelly. First off, it was amazing. My cousin has been after me to read it for weeks and now I see why. But anyway, I feel like this type of weather inclines me to read a lot more. In the summer, I would rarely just pick up a book in the middle of the day and read for hours, but I find myself doing it a lot more now. I am loving it. 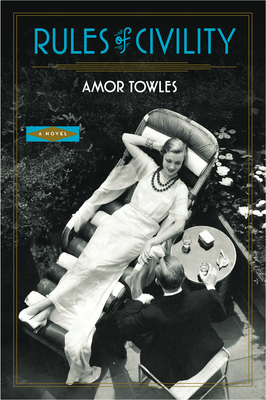 My book club met this past Thursday to discuss Rules of Civility, by Amor Towles. 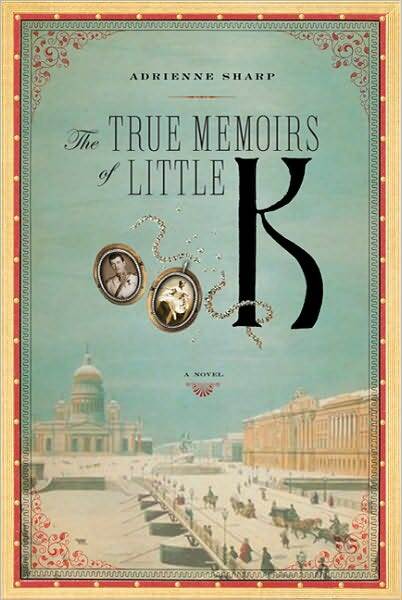 As you may remember, I loved this book, so I recommended it to my book club. As is always the case when I recommend a book, I was nervous that they would all hate it (ahem, The Elegance of the Hedgehog anyone? ), but the response was overwhelmingly positive. They really enjoyed the time period, as well as Katey’s story in general. I seemed to be the only one who wasn’t a big fan of Katey. One minor reason was the way she let Tinker go and failed to tell him her true feelings, but my fellow book clubbers did point out that she likely would have acted differently were it not for the accident. At the same time, they really hung Tinker out to dry, where I sympathized with him more. They were disgusted that he “whored” himself out to Ann, whereas I didn’t see it as quite that negative. I am not sure why my reaction wasn’t of the same magnitude as theirs, because Tinker’s situation does sound like that of glorified prostitute, but while reading the book and being immersed in their lives, I just didn’t have that reaction. Next month I suggested we read something that goes along with Halloween, and the choice was made to read The Girl with the Dragon Tattoo, by Stieg Larsson. I am really excited by the the selection, but also a little nervous because it is a longer book. I hope they all love the series as much as I did! As for today, I am reading some paranormal YA fiction, which is very different for me–Cold Kiss, by Amy Garvey. I don’t know that I will get a ton of reading done, since I have to work later, but I am enjoying the change of pace and I am flying through it. How do you plan on spending your Sunday? Leisel Meminger is a young girl growing up with a foster family during WWII in Molching Germany. 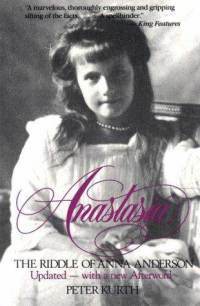 She has had a tough time, after her mother giving her up and the death of her younger brother, not to mention the fact that she is coming of age during a very serious war. 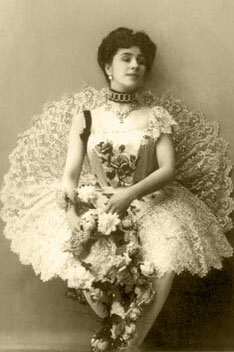 Her hope pervades all things though, and she does not let the destruction around her plummet her into despair. Instead, she uses reading as a tool to help her cope with the chaos around her, and her insatiable appetite for books causes her to use every opportunity to snag a new book. Thus, the book thief is born. It feels a little counter intuitive to go any further with the plot, as it has been hashed and rehashed a thousand times in a thousand other reviews, but I must mention the fact that The Book Thief is narrated by Death. Yes, you read that right: Death. In fact, that was probably the single most reason I picked this book up in the first place, along with the fact that every blogger known to man has seemingly read it and sung its praises. Let’s face it, the Holocaust is a bit overdone. For that reason, I tend to avoid books if they appear to be just another story about the Holocaust, so that special spin with the choice of narrator made me suspend my disbelief and finally pick this one up. 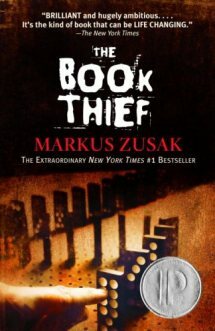 I will admit that in the very beginning of The Book Thief, I was skeptical. It took a little while for it to work its magic, because I just couldn’t understand where it was going to go and how the narration was going to work. I just kept telling myself to give it a good shot because I was very confident that all the hype would pan out. Luckily, I was right. Liesel’s story is like none other you will read. She is a very loveable character; even Death has a soft spot for her. The trials and tribulations she endures are heart wrenching, yet you know she is a tough girl, and through all the desolation, hope reigns supreme. This was the choice for my book club’s July meeting. I was the one who picked it, which always adds a little stress because I live in fear that they will all hate the book (ahem, The Elegance of the Hedgehog). It turned out to be a great choice because it was a quicker read. Two of our members had babies in June, and even they were able to finish it. The response was resoundingly positive, and we were all touched by the ending. Let me just end by saying the hype is completely warranted. 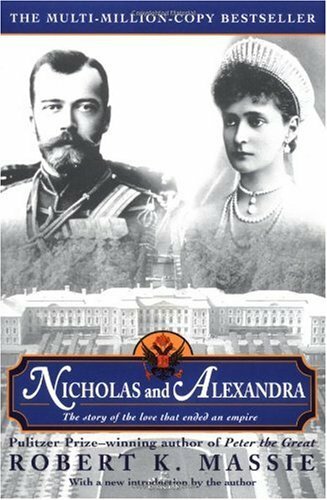 I think I may have been the very last blogger to actually read this book, but if I am mistaken, I implore those of you who have not read it to definitely do so! Sally Horning is your typical frazzled mother of two young children. She has a caring but clueless husband and a busy career. Her one bit of respite was one year ago when she went on a “business” trip and met a man named Mark Bretherick. Sally and Mark had a week long affair that lasted only as long as their respective trips. Now, a year later, Sally is shocked to hear on the news that the wife and daughter of Mark Bretherick have been found dead–the result of a murder/suicide. However, when Mark Bretherick appears on the screen during a news broadcast, Sally is horrified to realize that this is not the Mark Bretherick she spent a week with. Sally begins her own sleuthing into the mysterious deaths of Geraldine and Lucy Bretherick, as well as also trying to discover who the real Mark Bretherick is. She is extremely hesitant to clue anyone into what she is doing, as that would mean fessing up to her affair, so even her closest friend is unaware of the mess Sally has gotten herself into. I have been on a “literary mystery” kick recently. I am not sure how well developed this sub genre is, but basically I was looking for something along the lines of Tana French, now that I have read all three of her books. I stumbled upon Sophie Hannah one day when I cam across an interview she had done with French. I noticed that French seems to be constantly touting Hannah’s work, so I knew straight away I should give her a try. Comparatively speaking, Hannah’s books are more fast paced and plot oriented. The character development is nowhere near the caliber found in French’s books. Regarless of that fact, I am definitely seeking out all of Hannah’s books now. The suspense is there, and all I want with a good mystery is to keep my attention while drawing me into a good story. 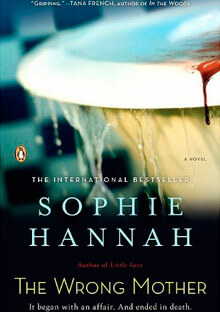 If you are on the lookout for another mystery writer, do not hesitate to give Sophie Hannah a chance. The Wrong Mother was the book club choice for my real life book club this month. I am hosting, so I got to choose the book. I rarely choose a book that I know so little about–I literally discovered this book the day I suggested it, but I was in the mood for a mystery and I figured What the heck. We haven’t met up yet, so I can’t say how my book club liked it, but I was enthralled. I read the book in about 24 hours. I was afraid, before reading the book, that it wouldn’t be great for discussion, but I think we will have plenty to talk about! I purchased this book from Borders. 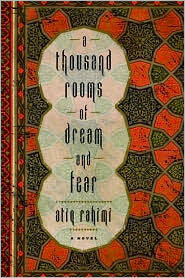 A Thousand Rooms of Dream and Fear was the BOOK CLUB choice for January 2011. If you are not familiar with BOOK CLUB, hosted by the lovely Jen and Nicole, check out the intro post here. I know I am a bit late to the party, although I did participate in the original discussion back in January. Fiction can express pain and suffering as little else can, as in this slim novel set in Afghanistan in October 1979, a time between coups and the Soviet invasion. Narrator Farhad, a 21-year-old university student in Kabul, goes out drinking with a friend, forgets the curfew and password, and is apprehended by jackbooted soldiers who beat and kick him, leaving him unconscious in a sewer. Mahnaz, the widowed mother of a young son (her husband was jailed as a political prisoner and executed), takes him into her home. What might seem a simple, compassionate act is not only brave, exposing Mahnaz to danger when the returning soldiers search for the student, but also prohibited by the Muslim culture. Farhad, hallucinating and between life and death, stays for days with a woman without a husband and sees not only her hair but also her breast, as she offers her milk to her brother, a young man traumatized by repeated military torture. In prose that is spare and incisive, poetic and searing, prizewinning Afghani author Rahimi, who fled his native land in 1984, captures the distress of his people. I’ll admit, I didn’t love this book. I think my main issue is that I prefer clear, straightforward prose. Dream and Fear had writing that was more flowery and poetic and not as linear, so despite the short length of the book, I had issues getting through it. I love the idea behind BOOK CLUB though, so I enjoyed discussing this book back in January despite the fact that it wasn’t my cup of tea. I know I have disappeared again, but I have now returned with a review for a book that will surely be numbered as one of my favorites for the year. I had wanted to post a review soon after finishing it, but decided to hold off because my book club was meeting last week to discuss it and I often like to include the thoughts of my fellow members when posting my reviews. Unfortunately, only one other member had finished the book, so a lot of good it did, waiting. For those members who had not read it, I discovered quickly that providing a synopsis of Cutting for Stone is no easy feat. Understand this—the book is of epic proportions. At 600+ pages, I cannot fit any of it in a nutshell, but try it I will. Mariam and Shiva are twin boys born in Ethiopia in the 1950s. They are born to a mother who is a nun and promptly dies upon their birth, and a father who is a well revered surgeon in their small village, who quickly flees. The toy boys are then raised by Hema, the village’s gynecologist, and Ghosh, the physician who becomes the surgeon after the disappearance of their real father, Thomas Stone. So many issues come into play throughout the novel, and the ties that bind a family are questioned. Shiva and Mariam, although close as two people can be, due to the fact that not only are they twins, but they also were born attached at the head, have a falling out in their teenage years, and the chasm between them quickly grows. Shiva is somewhat of a genius, and in that sense he has cut himself off from the rest of the world and is unable to form meaningful relationships. Mariam seems the more pragmatic of the two, at times, but also relies too much on his emotions. My synopsis does little justice for Cutting for Stone, and barely gives the unknown reader a glimpse into the soul of this novel, but it’s close enough. I would hate to ruin the experience for those of you who have yet to read it. That being said, as you likely deduced, most of my fellow book club members did not make much headway. A few of them just didn’t give themselves enough time. In fact, my sister asked to borrow my copy three days before our meeting. I explained to her that she would never be able to finish it in that amount of time! There was also a member who put the book down for good midway through. That was a bit shocking to me, because while I could understand how they beginning was a bit slow, I definitely was in it for good but the hundred page mark. Different strokes for different folks, I guess. The medical terminology and descriptions in this book are abundant. 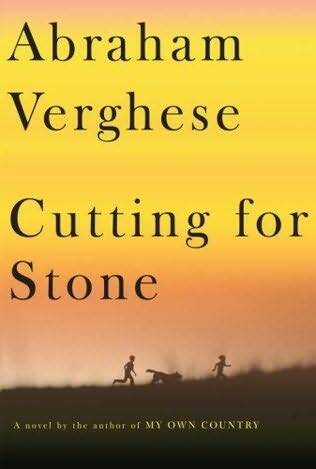 Verghese is apparently a surgeon of some kind, and that is glaringly obvious in reading the book! I actually was completely interested in the medical aspect of the book though, and I also love to be “grossed out”, so I had absolutely no problem with it. Surprisingly enough, there was only one member of my book club that did seem bothered by it, and she was the only other one to finish the book. I think she found it a bit polarizing. Expect a rollercoaster with this one. Your emotions will be toyed with (in a good way, I hope), while still being able to appreciate the wonderful writing and the lush landscape. I purchased this book . . . maybe from Barnes & Noble? !